Is it just a phase, a fad, or a real issue with your teen? 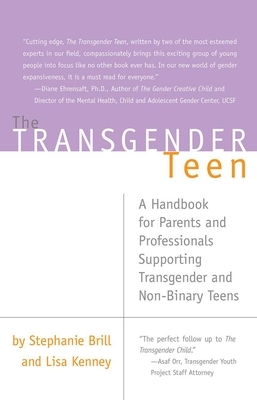 This comprehensive guidebook explores the unique challenges that thousands of families face every day raising a teenager who may be transgender, gender-variant or gender-fluid. Covering extensive research and with many personal interviews, as well as years of experience working in the field, the author covers pressing concerns relating to physical and emotional development, social and school pressures, medical options, and family communications. Learn how parents can advocate for their children, find acceptable colleges and career paths, and raise their gender variant or transgender adolescent with love and compassion.